The Bridgewater Recreation Department is pleased to announce the grand opening of Marathon Park on Crescent Street in Bridgewater. A ceremony to commemorate the opening will be held on Friday, May 9th at 1:30 PM at Marathon Park. Located adjacent to the softball fields and the Police Station, this beautiful recreational facility was created for the enjoyment of children age 1-12 and their families. 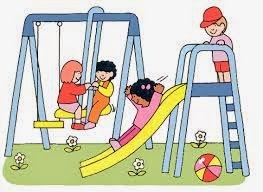 The state of the art playground includes multiple play configurations geared toward specific age groups, activities and climbing structures, a large pavilion/shelter and picnic area. The ¾ acre facility is surrounded by a fence and includes a 6’wide perimeter “walk with me” path. The inviting and colorful play structures are of the highest quality and meet ADA accessibility guidelines. The playground is the culmination of a community effort that began with two generous donors from Bridgewater including the Starr Family and the Oliari Foundation. More than two hundred volunteers, including residents, local contractors, Bridgewater State University and a large contingent from National Grid, spent several weekends to erect structures and complete the landscape. The playground was design built by Dibble Parks of Salem, MA, who coordinated and supervised the volunteer efforts. Marathon Park is certain to become a destination recreational facility to be enjoyed by Bridgewater residents and visitors from nearby communities for years to come.